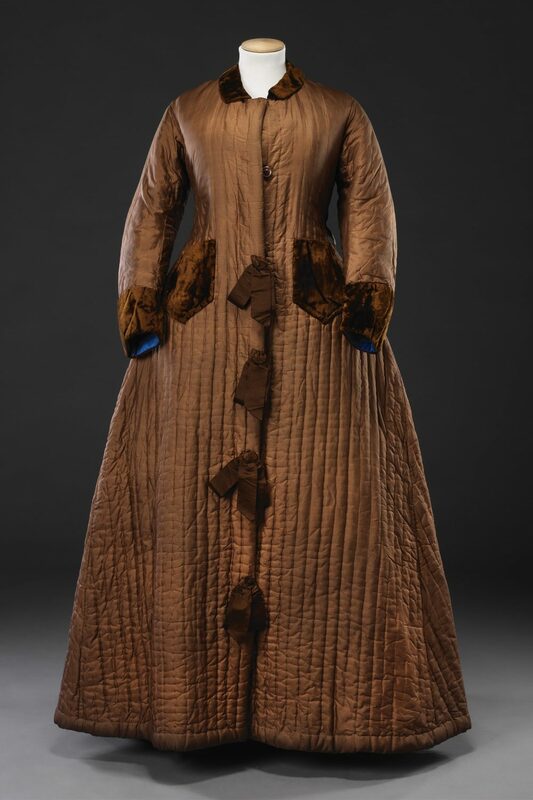 This dressing gown was made in Japan for a Western market that developed an enthusiasm for Japanese goods after the opening of the country to foreign trade in 1858. 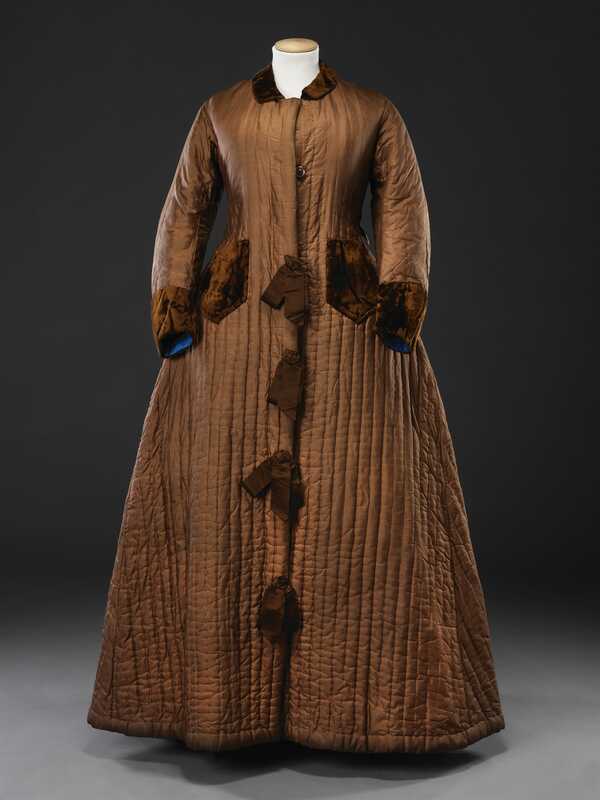 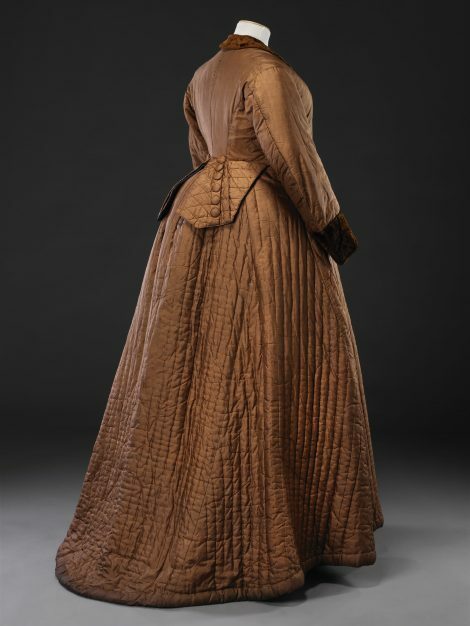 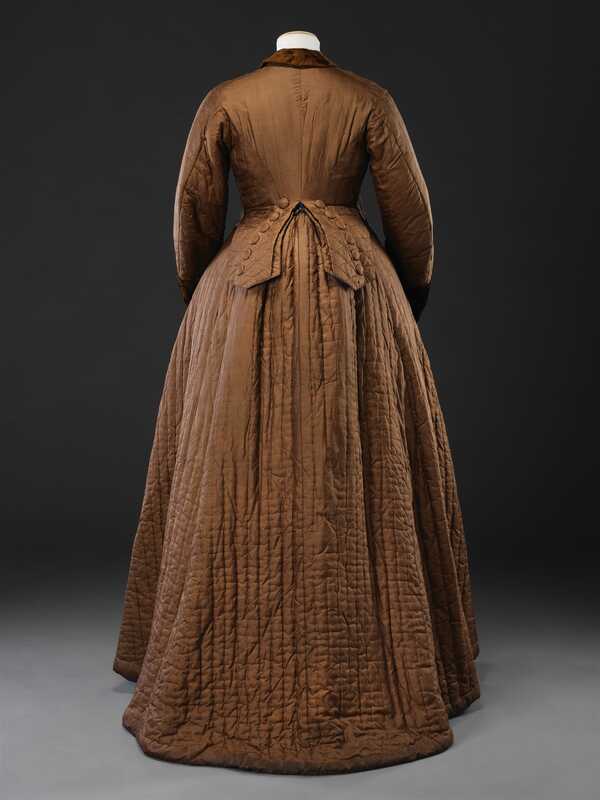 It was, nevertheless, designed in a European style, incorporating features of fashionable dresses of the mid 1870s – the ribbon bows down the centre front, the distinct collar, cuffs and patch pockets of a contrasting fabric, and the buttoned ‘coat-tails’ so clearly meant to be worn over a bustle. 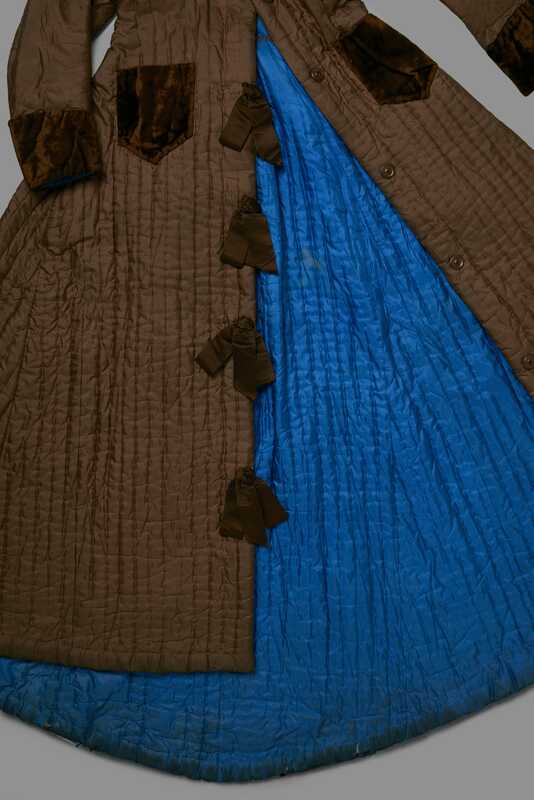 In common with other dull-hued, quilted silk Japanese dressing gowns in the John Bright Collection, this has a hidden element – a brilliantly-coloured silk lining (see Additional Images). 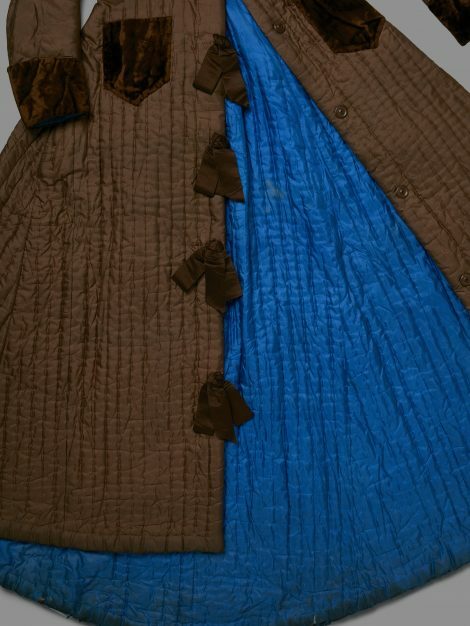 It would originally have had a cord belt with tassel ends, now missing.